"We can't recommend Jesse enough. He is incredibly wonderful to work with; he listens to you and what you want, he makes you very comfortable, and he has the ability to capture beautiful moments. He has given us such a wonderful gift with our wedding photos. He was such an integral part of our special day and has given us memories that we will cherish forever. We would use him again in a heartbeat." "Jesse was top notch from the very beginning. His communication was stellar, his pricing and packages were very clearly laid out and very good value for the cost, in our opinion. We first met up with Jesse over coffee. He made us feel completely comfortable and answered all of our questions. He traveled to Boston a few months later to shoot our engagement pictures. It was awesome to spend this time getting comfortable working with him, and definitely helped put us at ease for the big day. After getting the engagement pictures back we knew we had made the absolute right choice for our wedding photographer. In the weeks leading up to the wedding, when I was a frantic mess, Jesse assured me everything was in order and I believed him. On our wedding day he certainly delivered. He was professional yet kept everyone laughing and perfectly captured every moment, and every detail that I had spent the last year planning. We just received our photos and I am so glad to be able to have these wonderful memories of our special day!" "Not enough can be said with how happy my husband and I are with the way our wedding photographs turned out!! The quality and creativity of the photos we received goes far beyond what we ever expected when we were in the process of looking for what we wanted when choosing a photographer. Jesse was absolutely wonderful to work with the day of the wedding. He followed my request list for photos, and also threw in his own expertise to capture the wedding perfectly. We truly can't thank him enough for providing us with photos we can truly be proud of showing off, and giving us wonderful memories to always look back on.THANK YOU!!!!!" 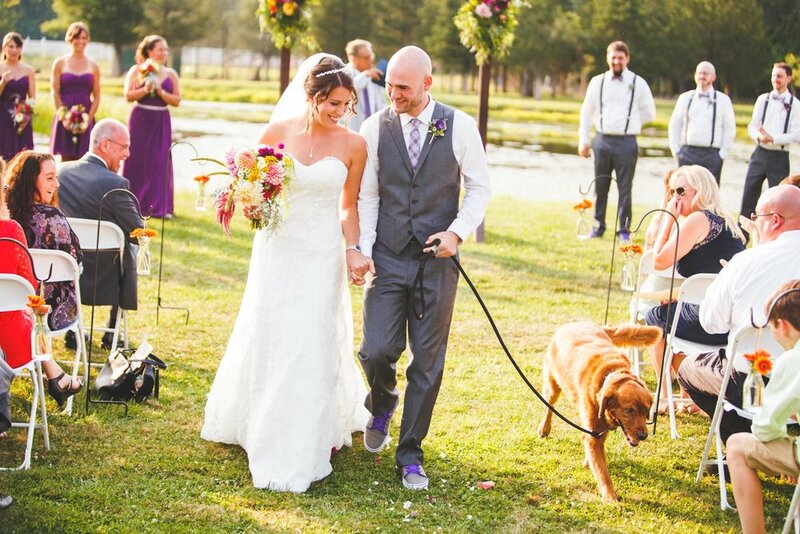 "From the first time I met Jesse I knew he was going to be perfect for our wedding. After our engagement pictures, on a freezing cold December day, we realized he was even better than we could have hoped. And now, looking back on our wedding pictures, I can not make clear enough how amazing he is. Jesse is warm and friendly, professional and at ease. He captures the most beautiful pictures we could have ever imagined. I worried I would be nervous strolling around a busy hotel in my gown and having everyone stare, but Jesse kept us laughing, focused only on each other and our backgrounds and so our pictures are relaxed and beautiful. He captured candid moments that, on such a busy day, we would never have even remembered happening but now, we will never forget. We can not thank him enough and would be lucky to have the opportunity to work with him again one day!" "After our wedding day, and before I saw a single picture, I knew that we chose the right photographer. Jesse was calm, easy-going, quick, unobtrusive but always present and did not give us any problems when we had to change our picture plans because we were running late.And then we got our pictures! He gorgeously captured the love and energy of the day; from the quiet excitement as we each got ready, to the reverent joy of our ceremony to the all out near-chaotic celebration of our reception. I would hire him again in a heartbeat, and recommend him highly to anyone."